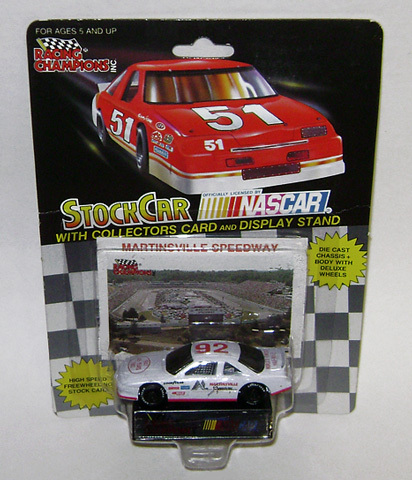 1992 Martinsville Speedway 45th Anniversary / NASCAR diecast, by Racing Champions. The Martinsville Speedway diecast car is a track promo car. The text featured on the hood "1947 - 1992 45 Years", decklid "World's Finest Half-Mile" and rear bumper "Martinsville".